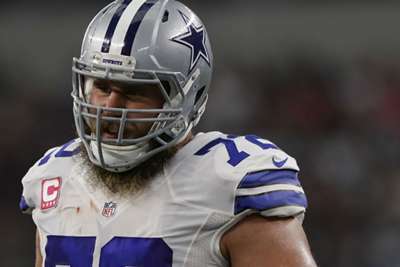 The Dallas Cowboys are placing center Travis Frederick and wide receiver Terrance Williams on injured reserve, cutting their 2018 season short. In a corresponding move, Dallas also announced it has activated David Irving for Week 5; he is coming off a four-game suspension. Frederick was diagnosed with Guillain-Barre syndrome during preseaon, an autoimmune disease that attacks the nervous system. His status for the season had been a matter of speculation over the past few months, but the team opted to keep him on the active roster as there was not a clear timetable for his return. He has the option to return in December, but it is not likely he will be healthy enough to play. Williams has been dealing with a foot injury, which he suffered during the offseason and has caused discomfort into the regular season. He missed all of the team's practices last week to deal with the injury, as well as reported off-the-field issues. The Cowboys now have 52 players on their roster. They have one more spot to fill, but are likely to go into Sunday's game against the Houston Texans without adding another player.